Lewis Hamilton became third F1 racer to win five Driver’s World Titles, and became the first man to pass 400 points in a season. Wheels24 reader Neil Hamilton reflects on the final race of the season. Lewis Hamilton won the Bahrain Grand Prix last Sunday, to take his 11th win of the season. 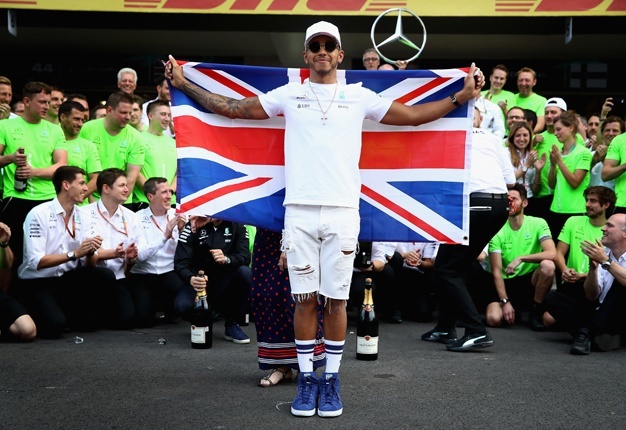 Records will show that the Briton matched his previous best season in terms of race wins (2014), became third man behind the legendary Juan Manuel Fangio and Michael Schumacher to win five Driver’s World Titles, and became the first man to pass 400 points in a season. Mercedes also extended their run of victories at Yas Marina to five in a row. The race started with the Mercedes team leading away in first and second, followed by the Ferraris and the Red Bull of Daniel Ricciardo. As the chequered flag falls, the final points of 2018 are in... ?? @LewisHamilton becomes the first driver to break the 400-point barrier ?? Max Verstappen, starting on the softer tyre, had a horrible start when his power unit went into “safe mode” after initially getting a good jump when the lights went green. The Dutchman had fallen through the pack to 10th by the time they approached the hairpin onto the long back straight. Charles Le Clerc in the Ferrari-powered Sauber gave a glimpse of what we can look forward to from him for next year, as he blasted by the Red Bull of Ricciardo and was in a strong 5th place at the end of lap 1. However, the safety car was called early for an accident at the turn 8-9 chicane. Nico Hulkenberg in the Renault was fighting Haas' Romain Grosjean for position, and as the two braked for the chicane, the Renault ran wide, as did the Haas of Grosjean. Thinking he had the line for the second part of the chicane, Hulkenberg turned in on the apex, only to have his right rear go over the front left of the Haas. This caused the Renault to barrel roll twice before coming to rest upside down against the outer tyre wall. There were flames licking around the rear of the car, which thankfully were put out quickly enough by marshals on the scene, as Nico Hulkenberg found himself stuck in his car. "I couldn’t get out. I had the wall on one side and on the other side was the halo, and the gap was too small,” he would say in interviews later. The race was run under safety car as the Renault was righted on its wheels and the Hulk eventually got out unscathed, but the accident did raise a few questions about the safety of drivers in such a situation. With the safety car in, the race essentially reset, and Verstappen made some bold moves to begin clawing back lost positions, and everyone watched as he aggressively barged past Ocon at the hairpin (turn 7), only to have the Mercedes powered Force India breeze back by on the straight. Eventually though, he made the move stick and began catching the front runners. Only a few laps later, Raikkonen’s last race (his 151st for Ferrari) in red ended ignominiously when he had a total shutdown of his car as he exited the last corner. With the Ferrari stranded on the straight, there was no option other than but to deploy the safety car again. Hamilton used this opportunity to pit from the lead, bolting on supersofts to go to the end of the race, and resumed in 5th after a few others also pitted, including Le Clerc in the Sauber, who had been running a strong 4th behind Vettel with the demise of the #7 Ferrari. One wonders what the works Ferrari driver must have thought, seeing his new team mate for 2019 glued to his gearbox in essentially a “B – team” car…The Sauber fell back into the pack after the stop but would eventually finish the race 7th. After the safety car, the order was Bottas, Vettel, Ricciardo, Versappen with Hamilton now on fresh rubber and gong to the end. The World Champion managed to pass Verstappen after the restart, only for the Dutchman to repass the Mercedes on the 2nd DRS straight into the second chicane. Hamilton then bided his time, as the front runners and Verstappen all pitted between lap 15 – 17, giving Ricciardo the lead in his last race for Red Bull. Running order on lap 18 was Ricciardo, Hamilton, Bottas, Vettel, Verstappen for the top 5, all covered by 20s. Ricciardo seemed to be going for a longer 1st stint, possibly with a view to attacking on fresh rubber towards the end. The race became a bit static at this point, with the gaps between Bottas, Vettel and Verstappen closing slightly. Suddenly, reports came through of rain falling on parts of the circuit, and cameras around the circuit showed rain falling towards the main straight…would we get a late, last twist to the season…halfway through the final race? Ricciardo pitted on lap 33, giving Hamilton the lead, and resumed in 5th place. He began his fightback and at one stage posted the fastest lap of the race in the 1”40s, which was over 2s faster per lap than what those ahead were doing, and as only 6s off his teammate ahead who, along with Vettel, had caught up with Valterri Bottas in the 2nd Mercedes. Bottas’ miserable season continued, as he made a mistake in turn 6, running wide and allowing Vettel to be on his gearbox at the hairpin onto the long back straight. The Ferrari, using DRS and superior top speed, tried to pass into the 1st chicane, and then got the job done easily by passing the Mercedes for second place at the second chicane. The Finn then came under pressure from Max Verstappen, and after running wide and missing the 1st chicane on the long back straight and re-joining the circuit, was bullied out of the way at the second chicane as the Red Bull picked up a slipstream, and Max placed his car exactly where he needed to, barging by the Mercedes on the exit to turn 13th after banging wheels with Bottas, and forcing him wide.With the Mercedes struggling, he could not hold back a charging Ricciardo on fresh rubber, and a lap later Bottas had dropped another place to 5th, prompting Mercedes to bring him in for cautionary stop after noticing what was later identified as a slow puncture on the right rear. The running order was now Hamilton, Vettel, Verstappen, Ricciardo, with Bottas a distant 5th. Down the field we also had some entertaining scraps, with Sainz for Renault in 6th, Le Clerc in 7th for Sauber, Perez charging in the Force India in 8th and the 2 Haas cars running 8th and 9th. Alonso could unfortunately not get into the points for his last race, but did give us another classic Abu Dhabi quip via radio messages. "There’s a point for 10th up ahead, go get it!" was the call from the McLaren wall; Alonso replied coolly, "Mate, I have 1800 points already…"
"Well, let’s make it 1801…for me" would be the reply from his engineer. And try he did, but his efforts caused him to cut the chicanes one too many times and in his last F1 race, Fernando Alonso picked up a 5second penalty, finally finishing 11th. The two leaders traded times as Vettel would close, and Hamilton then extend his lead slightly, and behind them the Red Bull challenge also faded. Verstappen had a moment when he was lapping Pierre Gasly, as the Torro Rosso Honda had engine trouble and was spraying oil. Gasly eventually retired but the Red Bull was streaked in oil, with Verstappen saying later it was like driving through fog, as he had no more tear-off left. The promised rain never came. The race ended with the top protagonists of 2018 on the podium, Hamilton winning from Vettel, followed by Max Verstappen. Alonso did a formation slow down lap with Hamilton and Vettel, and we were treated to the Ferrari, Mercedes and Mclaren doing a series of donuts on the main straight, followed by emotional interviews from the multiple champions. With 3rd place in the Drivers' title still up for grabs at the start of the race, and Raikkonen’s retirement, it appeared he would lose that place. However, it ended with Raikkonen holding on by 2 points from Verstappen, with Bottas falling to 5th in the standings. 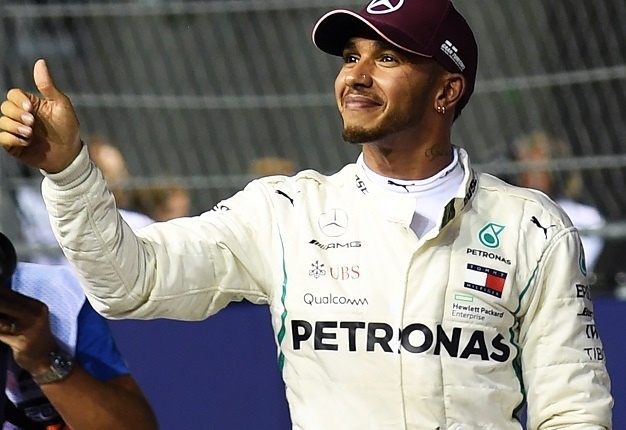 This then is the first time that a Mercedes driver has failed to win in a season since Michael Schumacher, and is the worst finish for a Mercedes driver since 2013. By all accounts, the records show that it was a walkover, with Hamilton winning 11 times to Vettel’s six, and an 88 point gap between them in the standings (which in 2017 was only 46). This would be a false impression. It WAS a close fought championship, but from Monza, it swung in favour of Mercedes. Hamilton was imperious this year – former team mate Nico Rosberg said this was Hamilton in his most devastating form, and even fellow competitor Sebastian Vettel admitted he would need to up his game next year to match the five-time Champ. If Red Bull Honda come good, and if Ferrari can deliver a car similar to this year’s car, 2019 looks set to be a classic, with rule changes thrown in just to make it a bit more interesting.